Boat houses, floating houses, floating hotels, floating architecture has always been a fascinating concept to people. The concept of floating structures that allow you to live on water is inherently enthralling! But some architects have gone above and beyond the idea of a house on water, floating structures now include supermarkets, hospitals and even prisons! Here are some of the most unique floating structures around the world. 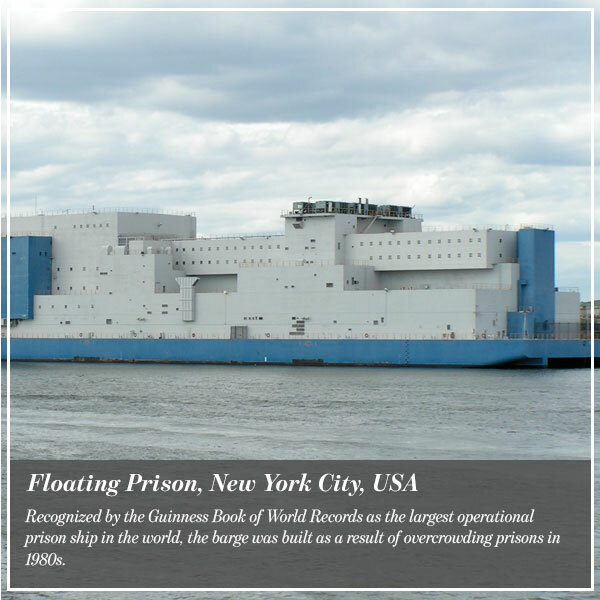 Recognized by the Guinness Book of World Records as the largest operational prison ship in the world, the barge was built as a result of overcrowding prisons in 1980s. The prison has been in operation since 1992, and in many respects, it is not that different from other conventional prisons. The Vernon C. Bain Center , also known as The Boat, is designed to house inmates from medium to maximum-security, the structure being on water provides even more security. The building constitutes of 16 dormitories and 100 cells, it even has basketball courts in a caged in recreational area. 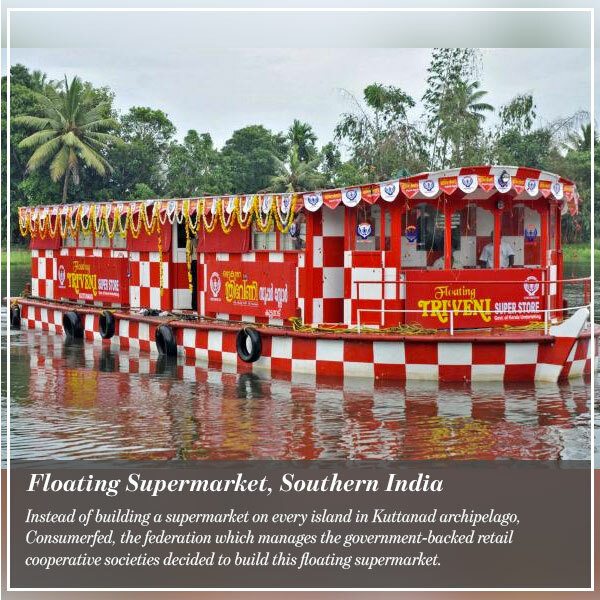 Instead of building a supermarket on every island in Kuttanad archipelago, Consumerfed, the federation which manages the government-backed retail cooperative societies decided to build this floating supermarket. The floating Triveni Superstore in Kundara is a huge boat crafted of anti-corrosive, steel-reinforced cement. It is essentially a traveling department store that sells everything from groceries to household appliances! The stores can only accommodate 20 people at a time, including the floating market’s salespersons and the driver. The first of its kind in India, the market alert villagers beforehand of their planned arrival. 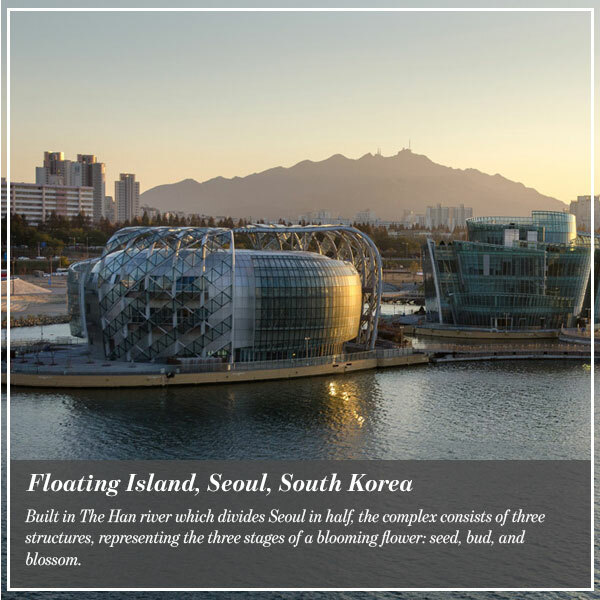 Built in The Han river which divides Seoul in half, the complex consists of three structures, representing the three stages of a blooming flower: seed, bud, and blossom. The island like buildings house shops, restaurants, and a number of venue spaces that host festivals and exhibitions throughout the year. Floating island is a collaboration between H Architecture in New York and Haeahn Architecture in Seoul. The buildings resemble a delicate yet bold structures of glass, wood, and steel. 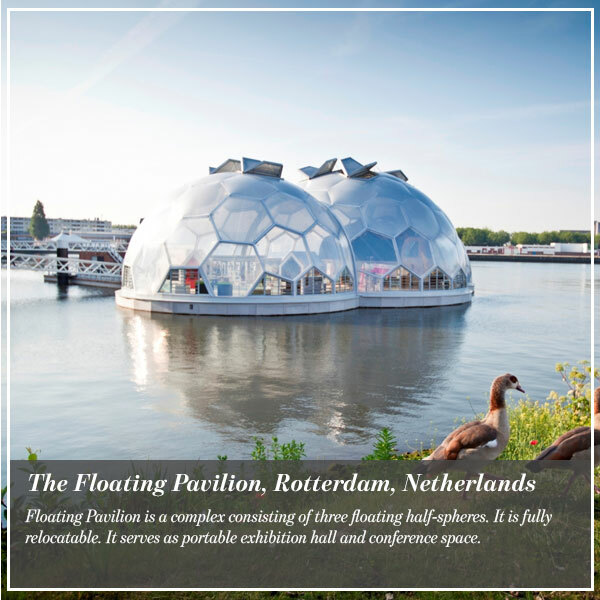 Floating Pavilion is a complex consisting of three floating half-spheres. It is fully relocatable. It serves as portable exhibition hall and conference space. Designed by DeltaSync and Public Domain Architecten, this pavilion is remarkable not only because of its shape, but also because of its climate change resilient, innovative, sustainable and flexible qualities. 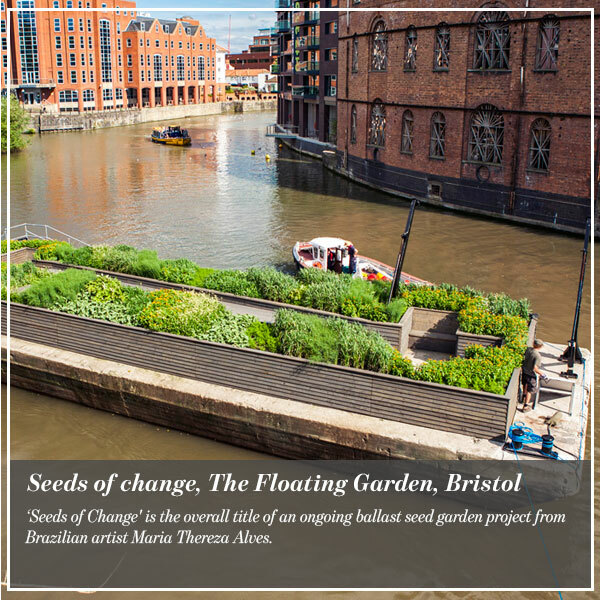 ‘Seeds of Change’ is the overall title of an ongoing ballast seed garden project from Brazilian artist Maria Thereza Alves. Working with the University of Bristol Botanic Garden and Bristol City Council, the artist have utilized a disused concrete barge and created a permanent Ballast Seed Garden on Bristol’s Floating Harbor. The Floating Garden was designed by German designer Gitta Gschwendtner who worked closely with the artist to create a contemplative architectural space to walk, sit and observe the plants. The irrigation and lighting systems are powered by solar panels, and the garden’s frame, seating, and pathway are made from sustainable grown pine. 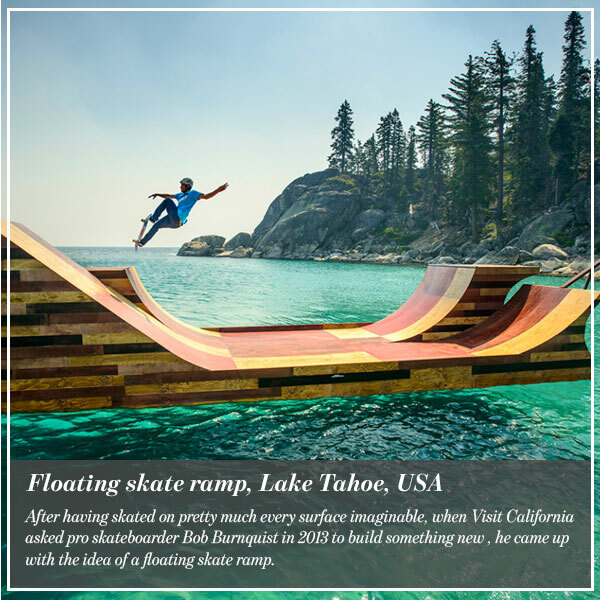 After having skated on pretty much every surface imaginable, when Visit California asked pro skateboarder Bob Burnquist in 2013 to build something new , he came up with the idea of a floating skate ramp. Lake Tahoe is famous for its extraordinary clear blue water, what a wonderful place to skate! Plus, if a skater fell down, the water would cushion the fall. The ramp is made of wood, it was designed and built in only four days by designers Jerry Blohm and Jeff King.